he Supply Chain Matters blog extends a Happy Holidays greeting to all of our global-wide readers our sincere best wishes for the holidays. The Supply Chain Matters blog and the Ferrari Consulting and Research Group extends to all readers and clients wishes for a happy, safe, and joyful Thanksgiving holiday. If social-media based users have not noticed, both Facebook and Twitter are now engaged in proactive efforts to take-down suspicious accounts suspected of being bots for trolling or proliferating fake news or false reports. In its entire existence, the Supply Chain Matters blog has NEVER engaged or participated in a campaign to secure a trove of phantom Twitter followers. While this site, and other credible sites have literarily lost some followers overnight, we remain committed to the quality of our content and to the value we extend to our global based readers. The Supply Chain Matters shares thoughts and reflections on the sudden passing of Fiat-Chrysler CEO Sergio Marchionne. Supply Chain Matters highlights another important announcement in the Class 8 heavy duty truck market, namely that Nikola Motor Company announced plans to construct a $1 billion manufacturing hub to produce hybrid battery and HFC powered Class 8 trucks. This blog serves as a brief update to all our Supply Chain Matters readership that the technical difficulties related to our Research Center document downloading appear to be resolved. Our Research Center can be accessed via the reader menu options on the left-hand side. 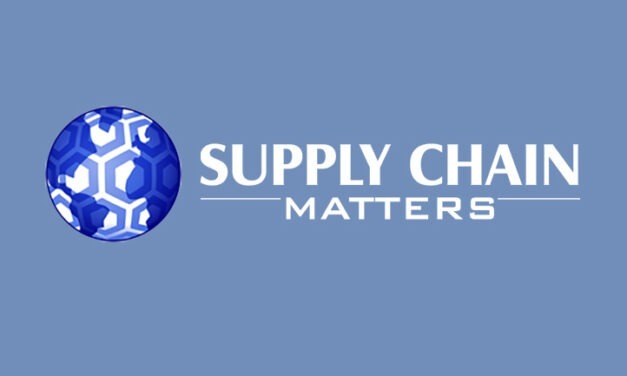 The Supply Chain Matters blog extends holiday wishes to all of our readers. Supply Chain Matters informs readers to the unveiling of a totally new designed web site which takes advantage of the latest features of the WordPress content management system. Supply chain and operations management professional organization APICS recently announced an expanded strategic relationship with China’s online retailer JD.com. We want to advise our Supply Chain Matters readers that we continue working behind the scenes on some overdue web site improvements. including the implementation of a secure web site.